The last few posts on this blog have been on word prediction software, which is a technology that can help a variety of struggling writers. While the technology itself is great, it is important to keep in mind that great technology without appropriate instructional strategies can still lead to poor results. 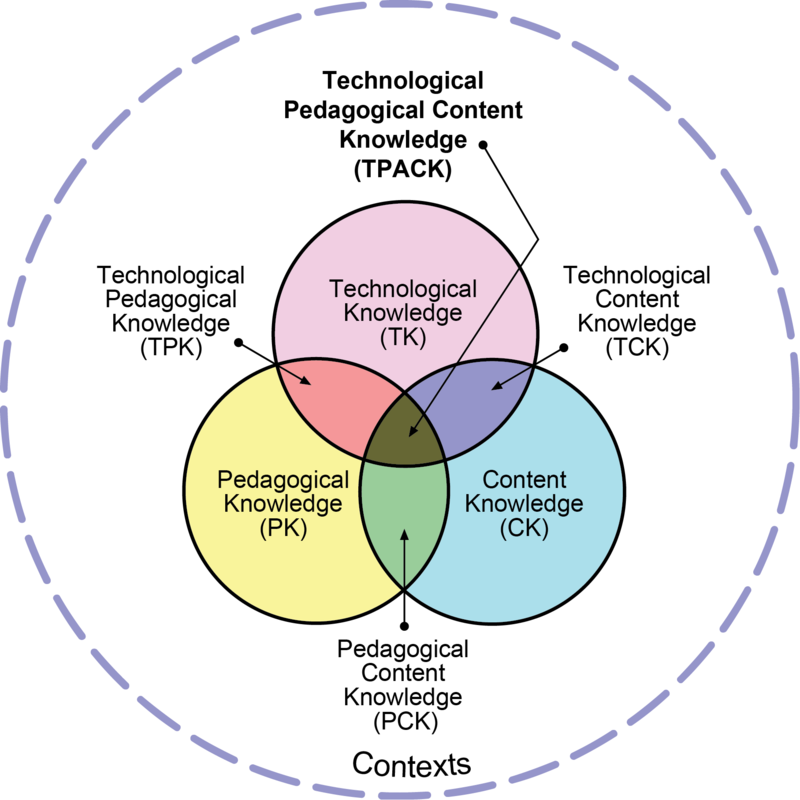 One of my favourite models to help represent this is the TPACK model (see image below). According to the TPACK website, the TPACK model identifies the knowledge educators need to teach effectively with technology. It includes knowledge on technology, content, and pedagogy (strategies). While I think most educators are comfortable with the content piece, I often see many struggle to effectively integrate instructional strategies with the technology they are using. For example, while word prediction software is an excellent technology support, simply handing it over to a struggling writer may not produce immediate benefits. Instead, combining this technology with an instructional strategy such as a writing prompt can help to improve student writing more quickly. What is a writing prompt? Basically any text, image or other medium that can jumpstart student writing. For example, “What was your favourite part of summer break?” or “What is your favourite food and why?” Do a quick Google search on writing prompts and you will find hundreds of examples (such as this post with 180 different prompts). The purpose of writing prompts is to simply get students writing. Practising writing, on any topic, helps students become better writers. Combining this with technology such as word prediction can get even the most reluctant writers going. What strategies can you use to help motivate student writing? If you are looking for more ideas on using word prediction, be sure to get my free report containing 6 Word Prediction Strategies for Struggling Students.